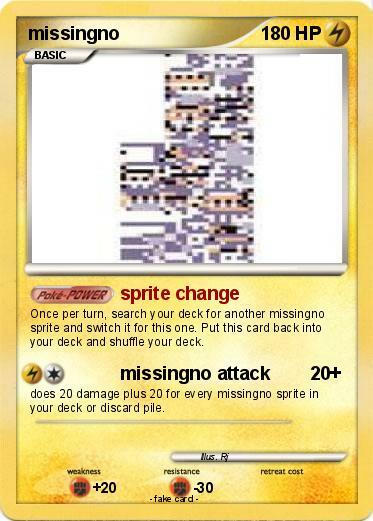 Once per turn, search your deck for another missingno sprite and switch it for this one. Put this card back into your deck and shuffle your deck. does 20 damage plus 20 for every missingno sprite in your deck or discard pile.